For the past 35 years, Dr. Huffines has primarily treated older and medically complex adults in a traditional private practice, in hospitals, and in nursing homes. He is one of only a handful of practicing clinicians in the United States who has completed a two-year postdoctoral Fellowship in Geriatric Dentistry. He is Past President and a Fellow of the American Society of Geriatric Dentistry, Fellow of the American Association of Hospital Dentists, Diplomate of the American Board of Special Care Dentistry and Fellow of the Royal College of Surgeons, Edinburgh, Scotland, with a membership in Special Needs Dentistry. In 2004, he was appointed to the American Dental Associations Elder Care Task Force. Dr. Huffines is the originator of the ADA’s Preventive Office of the Year Award. He has served on the Editorial Board of two major dental drug references. 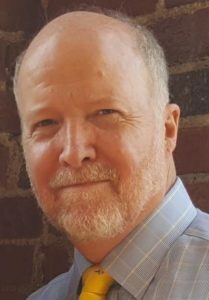 Dr. Huffines holds faculty appointments in colleges of dentistry, medicine, nursing and allied health sciences. As a frequent conference speaker, he is known for his ability to take complex issues and translate them into easy-to-understand concepts and practical techniques that the entire dental team can use immediately with their patients. Older and medically complex patients are the fastest growing patient demographic in the United States. The entire dental team must be trained to meet the unique needs of these patients. Visual and/or hearing impairments can lead to misunderstandings between the patient and the dental team. Medical conditions, such as stroke, cardiovascular disease, cancer and Alzheimer’s, require alteration in “normal” dental treatment, to assure a successful outcome. Root caries is a common and frustrating problem, requiring the use of the latest adult preventative protocols and restorative techniques. Millions of seniors are partially or totally edentulous, so there is a tremendous need for both esthetic and functional, conventional and implant supported prostheses. Medication use for a variety of problems, such as xerostomia, poor hemostasis and gingival overgrowth, as well as adverse drug reactions, must be addressed. 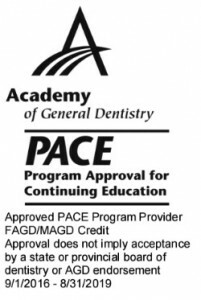 7 hours of lecture credit may be used towards FAGD, MAGD or re-licensure for dentists and hygienists.